In this video, Karen gives step by step instruction on how to use Separation Enamel for a marbleized look. 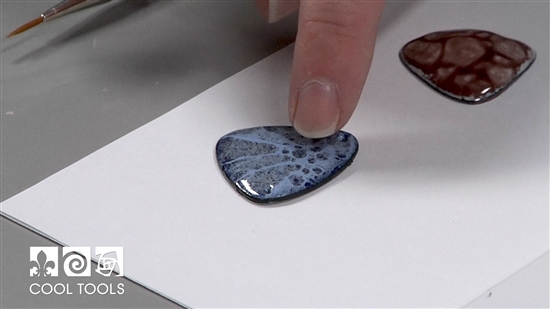 She cuts cabochon shapes from Cyprus™ Copper Clay and lets them dry using a drying form. Once the clay is fired, she enamels on the cabochon, using both Thompson Enamels and Separation Enamel to create a gemstone look.